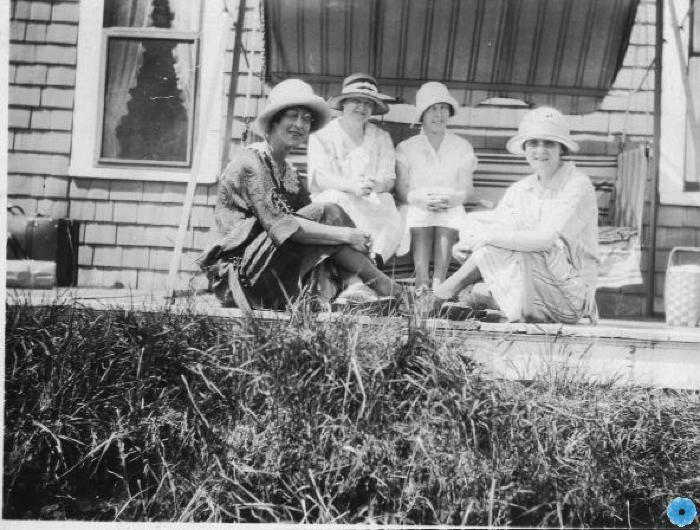 Scope & Content: Two of the women are sitting on a porch swing, with overhead canopy and the other two are on the deck in front of the swing. All four women are wearing hats. Someone's luggage is sitting on the deck at the far left.